Pam is the Unit’s Practice Manager. Pam holds a holistic view of the patient journey, the throughput of patients and the operational activity surrounding this. Her key responsibilities include building and maintaining external relationships, Quality Assurance and Financial Planning. 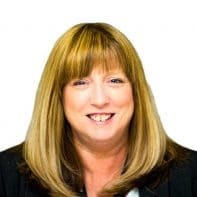 Pam also plays a pivotal role in identifying changes needed to enhance quality, operational effectiveness and action needed to maintain our high patient satisfaction levels. Prior to her role within the Hull IVF unit, Pam led large operational teams; enhancing business processes and the customer/patient experience. Pam has extensive experience in business planning, service performance and change management.